After spending the past month interviewing candidates to oversee the team’s training and medical staffs, the 49ers have reportedly zeroed in on Ben Peterson, who served the past two years as the​​ Philadelphia Flyers’ director of sports science. The Athletic‘s Matt Barrows was the first to report the news. 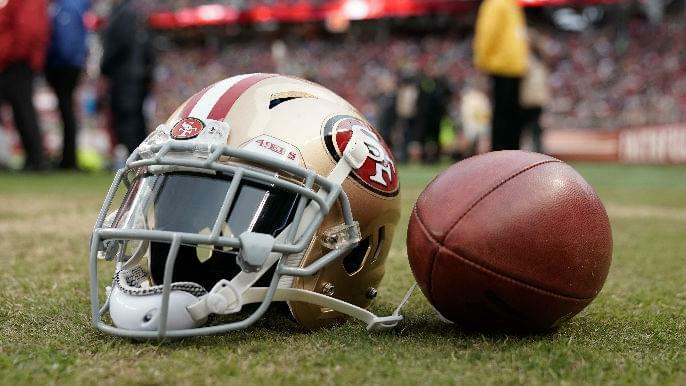 Last month, the 49ers fired the top two members of their training staff, including strength and conditioning coach Ray Wright and head trainer Jeff Ferguson. The 49ers haven’t been able to shake a nagging injury bug that has helped define Kyle Shanahan’s two-plus years as the team’s head coach. The 49ers placed 17 players on injured reserve in 2018 and another 24 in 2017. In Peterson, the 49ers are heading an innovative direction, one that uses sports science to minimize and prevent injury. Prior to joining the Flyers in what was a similar role as the one with the 49ers, Peterson was the director of research and analytics for Catapult Sports, which supplies performance technology to teams across the world. In 2015, Peterson put together a 28-minute presentation on how to keep hocker players healthy. He considered several variables, which he presents in the video below, in the extensive report.